Commemorating The Genius Of Bharatham! The golden trio of Lohithadas (writer)- Sibi Malayil (director)- Mohanlal (actor) has given Malayalam cinema few of it’s evergreen classics. The uniqueness in the plots and the simplicity in it’s presentation made these movies close to the audiences’ hearts. Lohithadas has tried a hand in writing films of almost all genres and succeeded in all of them. Today we will be revisiting the 1991’s blockbuster musical drama Bharatham. Bharatham is the story of two brothers who hail from a musical family. Apparently, Lohithadas developed this film from an incident that came to his knowledge where the patriarch of a family goes missing at the occasion of a marriage in the family. Mixing carnatic music and ego issues between the failed and the successful, Lohithadas penned down an absolutely genius script which has zero loopholes. The bonding between Ramanathan (Nedumudi Venu) and Gopinathan (Mohanlal) is very strong both as brothers and as Guru-Shishya (teacher and student). Even when Ramanathan gets badly addicted to alcohol and he starts hating Gopi, the audience still sympathizes the character. The musically blissful first half tightens as Ramanathan goes missing when their younger sister Radha’s wedding is round the corner, by this time he had realized his mistakes and had accepted Gopi’s success wholeheartedly. The family finds peace in receiving a letter from Ramanathan stating he is on a pilgrimage to get rid of alcohol and improve his singing. But, only Gopi and his betrothed Devi (Urvashi) finds out that Ramanathan died in an accident. The highly devoted younger brother had to hide the news from his family to get his sister married. Soon after Radha’s marriage the family members finds out the news of Ramanathan’s death. The emotionally broken Gopi seeks forgiveness from his sister-in-law. The film ends with Gopi carrying the legacy of music forward by teaching Ramanathan’s son carnatic music. The movie is a bundle of extraordinary performances. Mohanlal and Nedumudi Venu were exceptional in their roles, they weren’t acting but living on screen. They were supported by a long line of amazingly talented actors like Urvashi, Lakshmi, Oduvil Unnikrishnan, Murali, Thikkurissy Sukumaran Nair and K.P.A.C Lalitha. The music of Bharatham by the legendary music director Ravindran will live till the date Malayalam cinema exists. Each of the songs are remembered line by line even today by the movie lovers. Sibi Malayil had staged the movie in a flawless manner. The performances and the music will be the major elements that sweep our feet off in the first viewing, but, the actual brilliance of Bharatham lies at the script. Lohithadas leaves no room for questions in the script of Bharatham. Primarily the script structured as a continuation of back-to-back events. For example, the first dialogue of scene B will the continuation of the last dialogue of scene A, or a laughter that was pending at the end of a scene will start the next scene. If you notice this pattern while watching the film, you will find out the natural flow in the script. Also towards the climax i.e after knowing about Ramanathan’s death, the way the writer has trapped Gopi is cruel but brilliant! His family is ready for the celebrations as they have believed that Ramanathan is on a pilgrimage and there is nothing to worry about him. At this point, breaking the news would not just shatter his family but also will stop his sister Radha’s marriage. Here lies the trap – Radha is mute girl, she is slightly over aged for marriage because none was ready to marry a disabled girl, an engagement of her’s was already broken so if this marriage also gets cancelled she would never get an alliance again. Lohithadas makes it even more tighter by making the groom’s father (who only appears in one scene when the marriage gets fixed) a man who believes in omens and superstitions, therefore a death in the family just before the wedding will be seen as a bad omen by him. 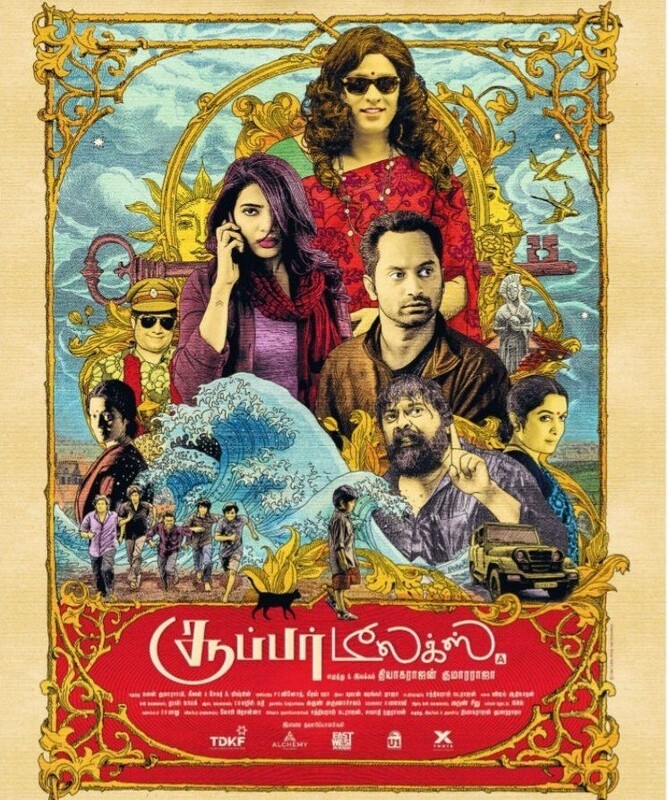 Lohithadas conveys all these aspects by just casual conversations, neither do the director uses cinematic cliches to emphasize on these points. But when Gopi is burning from inside, the audience feels it completely. The beautiful ‘Ramakadha Ganalayam…’ add flavor to inner turmoil of the hero. Bharatham is such a gem of a movie that can be screened on platform to represent Malayalam cinema. The Indian classical music, soulful performances and the heart wrenching drama makes it nothing but a timeless classic. Films like Bharatham are familiar to Malayali audience like a household story, but sometimes too much familiarity will cease the appreciations for the film. Such films deserve a timely revisit, they must be recommended to fellow film lovers. Bharatham has culture to it, the flavor of great music in it and it has a classically simple narrative. The film stays fresh even after 25 years of it’s release. Bharatham is an example for young and aspiring screenwriters on how to tackle drama and involve the characters completely in the story. It is mainly an example on how a strong screenplay can weave a magical cinematic experience on screen.